While I was visiting friends in San Francisco, we attended a Sunday evening church gathering. There were about 15 people. We sat around tables in a comfortable room, and the leader perched himself on a stool in front of the room. He asked questions and gave input as needed. My impression of the leader and the church was that they are sincere, devoted to Jesus, and desiring to grow and challenge one another in authentic community. Visiting and observing another community that loves Jesus was a great experience. A particular topic of their conversation has had me contemplating faith for the last few weeks. One of the stories in the Bible that I’ve read or heard about a thousand times is the “if you have mustard seed faith then you can move mountains” story. It is also one of the stories that I can outwardly slowly shake my head in agreement with a look of deep contemplation on my face, but inwardly be thinking “What the heck does that even mean?” Do you ever do that? Sometimes I don’t even realize I’m trying to make myself look smarter. I can fake it even subconsciously. A tiny speck of faith can move a huge gigantic mountain. I’ve been told that a mustard seed is about this big: O For reals. That much faith can move a mountain? Naturally, I start asking myself how much faith do I think I have? What ways has God grown my faith? Do I have a faith that is naive in that I literally think a mountain will move? Am I a name it claim it kinda gal? Do I trust my faith enough to truly trust my God enough for huge things? The San Francisco group of believers talked about faith briefly on that Sunday evening. I could tell the man sitting on the stool in front of us was a really wise person. He paused and asked if we had thought of the potential of a mustard seed. He said the passage says the faith of a mustard seed. I’ve looked at several translations and read through the story many times. One translation may say, “the faith of a mustard seed,” and another may say, “the faith the size of a mustard seed.” Either way I think the new concepts the man on the stool stirred in my brain apply. 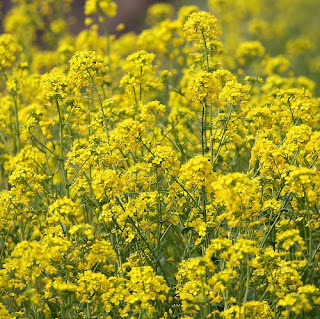 The seed knows its job is to grow mustard. It has the faith to believe that God will accomplish his purpose in growing a mustard bush. The seed doesn’t try to do grow into an oak tree or to become a duck. It knows it was created to grow mustard. The seed may not realize it at first, but there is an infinite amount of mustard plants in that seed. It is planted, grows, is harvested, produces more seeds, and so on. There is limitless potential inside that one small seed. As I’ve processed and pondered this in my own life, I begin to realize how significant this can really be. I want to have the faith that God is going to accomplish in my life exactly what he created me to be. There are definitely seasons that I’ve faced that I struggled to believe I could do what he was asking me to do. I want to believe God in such a way that it is a righteous belief. When Jesus said that through the Holy Spirit we would do even greater things on earth than he did, do I take this profound statement personally? I often feel like my life is as tiny as a mustard seed in an insignificant way. What I want to deepen is the belief that my life is as tiny as a mustard seed, but also see the significance of the infinite amounts of growth and purpose in the seed, in my life, because of Jesus, for the glory of God. This will take deep reliance on the Father. The seed can do nothing in and of itself. Without being planted, the seed sits in a dark little envelope on a shelf at Target. It must be planted, take root, and establish itself in the soil. I, too, want to remain in Jesus and allow his Word to be implanted in me so that I am established to do his will and hopefully, produce fields and fields of beautiful mustard plants! Love this! I have been processing a lot of seed imagery lately in tandem with James and "cliff jumping"! Such good rich stuff. I love it when God makes passages that you've heard a thousand times suddenly come alive moving deeper into your heart! As a stay-at-home-mom I too often ponder the significance of my small life. To consider "the faith of the mustard seed" instead of faith "the size" of the mustard seed is VERY different. You have given me something to think about. There is another mustard seed passage that says it is "the smallest of all seeds on earth" and that it "becomes larger than all the garden plants" (Mark 4:31-32) Well...that's just not true... I could list a number of seeds/plants that are smaller and larger. So what's the intent of the passage? Some versions use the words "lesser" and "greater" instead of "smaller" and "larger." Hummm, This is becoming a very interesting discussion. I too have been thinking about these same things as well. I just wanted to leave you with a little encouragement. Matt 7:7-9 says, "If I ask it will be given to me; if I seek I will find; if I knock, the door will be opened to me. For everyone who asks receives; he who seeks finds; and to him who knocks, the door will be opened." I think there is more to this name it and claim it thing than we realize. When we are walking in faith, and our passions and desires are lined up with Gods, we will be asking and seeking things that are lined up with his will and purpose, and that in itself is faith; to believe what he has called us to do and to trust his love in us. There is another verse that comes to mind: Ps. 37:4-5, "Delight yourself in the Lord and he will give you the desires of your heart. I commit everything I do to the Lord. I trust him and he helps me." Notice the second sentence of that verse. When we commit our lives, passions and desires to Jesus, he begins to form his heart in us, and we can trust that we are asking for things in faith because our hearts are lined up with his.